Introducing Graphic Mob, the newest and latest innovation from Mob Grip, skateboardingâ€s premium grip tape. Graphic Mob features a groundbreaking process that locks full color illustrations and crystal clear photographs into the grit, without sacrificing the durability, grip, and feel that makes Mob the #1 choice of professional skateboarders. Measures 9" x 33". 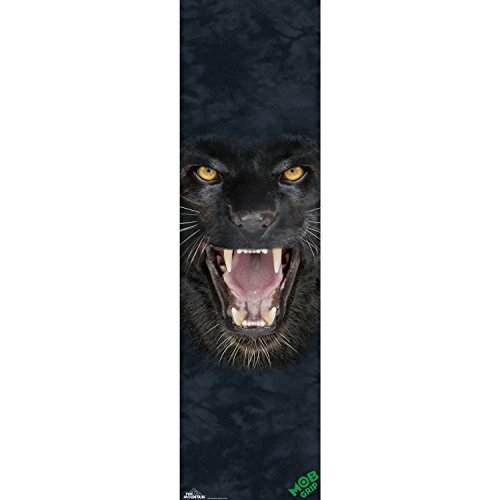 Grizzly Grip Tape Chris Joslin Pro Grip Tape - 9" x 33"
Mob Grip Skateboard Griptape Independent Bar Logo Clear 9" x 33"
Mob Grip Skateboard Griptape Frazetta Death Dealer 6 9" x 33"